Call now to get this Primitive Style Antique Tin Chandelier. Handcrafted in America from Lighting By Hammerworks. Creating historically accurate Colonial Antique Reproduction Lighting for 40 years. Hammerworks Antique Tin Chandelier CH122 is a handsome option for your New England Style Home. Similar in style to the more graceful Colonial Reproduction Tin Chandeliers CH103 and CH104, it offers a sturdier look. Thus it is an excellent choice if your design style is rustic and primitive. As always we offer this Period Reproduction Chandelier in your choice of antique brass or Antique Tin Finish. In addition our Antique Colonial Tin Chandeliers are made using the same time honored methods as the original craftsmen. Since 1979 we have been providing quality & craftsmanship one light at a time. While appearing rustic and primitive in design the timeless style of the CH122 Colonial Antique Tin Chandelier fits a variety of settings. Whether you own a classic Early American Colonial, Cape Cod Cottage, or New England Farmhouse, it is an excellent option. In addition our Antique Tin Chandelier coordinates perfectly with any of our Colonial Wall Sconces. As a result from kitchen nooks, dining rooms and family rooms to bedrooms and hallways our rustic metal chandeliers make a perfect decorating accessory for any home. Hammerworks Handcrafted Colonial Wall Sconces offer just the right complement to any Antique Tin Chandelier. As always we employ the same methods and materials to create a wide variety of exceptional quality wall sconces. 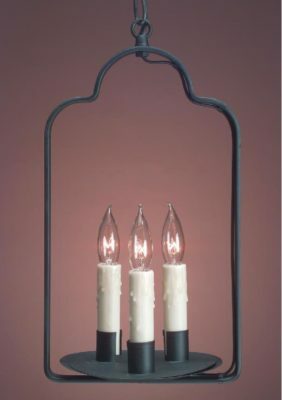 Most importantly Colonial Reproduction wall sconces are available in a multitude of sizes, styles and finish options. In addition you will find single, double and even triple candle styles. With a maximum allowance of up to 60 watts per candle, you will find the rustic wall sconce perfect for even the darkest corner of your home. So whether you pair them as accent lighting with your Antique Tin Chandelier or as the primary light source in the room our Handcrafted Colonial Wall Sconces are an excellent choice.